Only 30 of these exquisite machines will be built. At the , a tribute to the original 1987 Yellowbird. Fast forward two years to the 2019 Geneva Motor Show and RUF is now showing off the on its 80th anniversary. Building a car like this takes time, which is why it has been two years since we were first given a glimpse of a CTR. Don't let the looks fool you, this isn't just some '80s 911 retromodded with some modern parts. RUF has manufactured its own in-house carbon fiber monocoque chassis specifically developed for a rear-engined car. 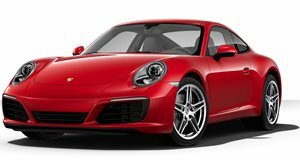 Only the engine, a 3.6-liter, twin-turbo flat-six, is based on that used in a Porsche 911. Speaking of the engine, it has been tuned to develop 700 horsepower and 649 lb-ft of torque, which is all routed to the rear wheels through a six-speed manual transmission. If you asked us to describe automotive perfection, this would be it. 0-62 mph takes less than 3.5 seconds and 0-124 takes less than nine seconds on its way to a top speed of 223 mph. With a scant 2,640 pound dry weight, the RUF CTR should be plenty lively to drive. This is the first example of only 30 that will be built for the whole world at an eye-watering price of $793,000. RUF is recognized as a manufacturer by the NHTSA and EPA, so there's a good chance a few of these 30 cars may end up in the United States. Alongside the CTR, RUF is also showing off a new model based on the 991 Porsche 911. It's called the GT and it features a 3.0-liter twin-turbo flat-six producing 515 hp and 475 lb-ft of torque. Buyers can choose between a seven-speed manual or seven-speed dual-clutch with launch control, which can rocket the car to 60 mph in 3.4 seconds and onto a top speed of 190 mph. To help it stand apart from a standard 911, RUF has added a ducktail spoiler from the 1973 Carrera RS, rear carbon diffusor, and RUF five-spoke 20-inch aluminum wheels. The GT isn't as retro cool as the CTR but we bet it won't cost anywhere near as much and in the real world, it is just as quick. This is a RUF you may actually have a chance of owning one day.